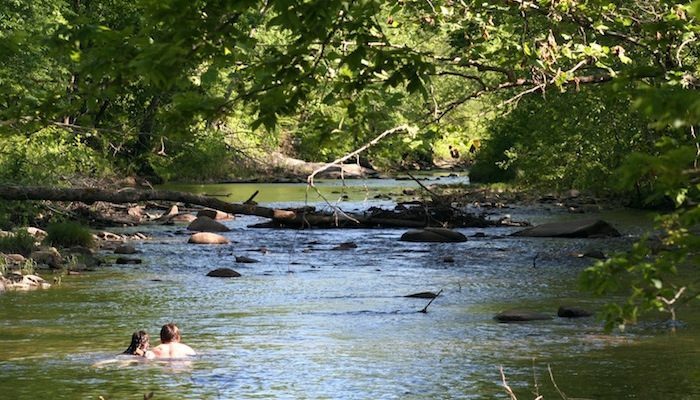 The Rivanna Trail encircles Charlotteville for about 20 miles, covering prime ground on the banks of the Rivanna River and through a series of city parks along Moores and Meadow Creeks. The trail surface varies between asphalt, crushed stone, and dirt singletrack, depending where you run, so choose a section that suits your ideal running style. One can’t-miss section is the stretch along the Rivanna River, heading north from Riverview Park. This paved part of the path has great river views, and a few spurs that make loops possible. Trail runners may especially like the Observatory Hill section of the trail. For info on other sections, see the Rivanna Trails Guide to the Trail.